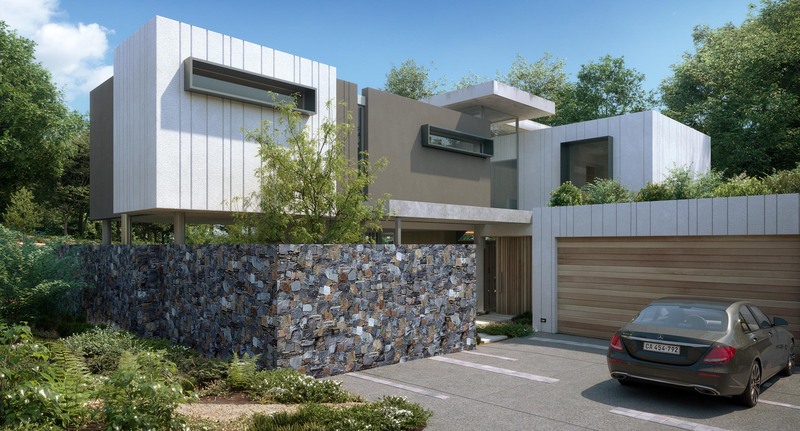 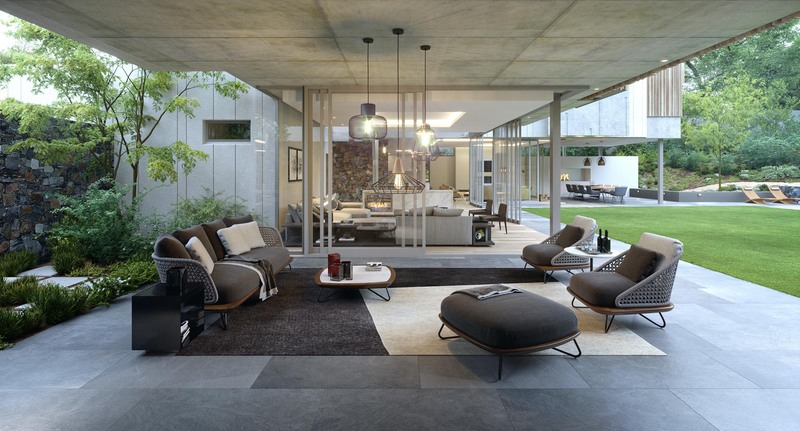 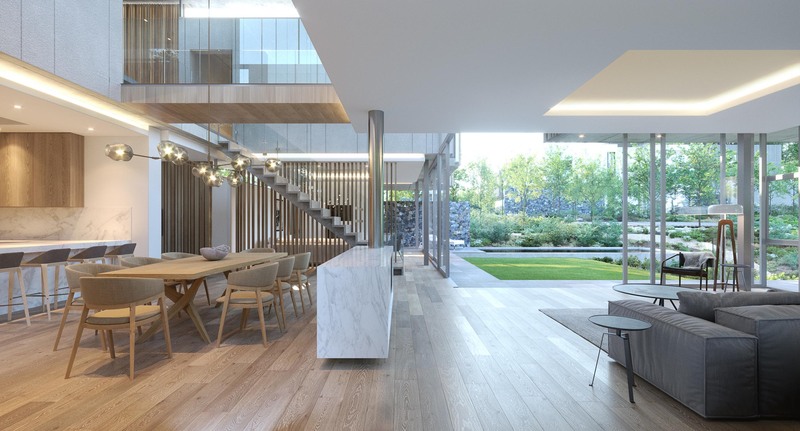 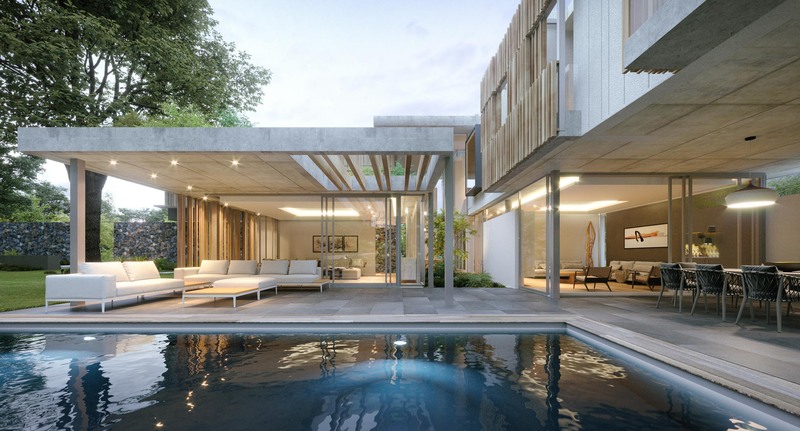 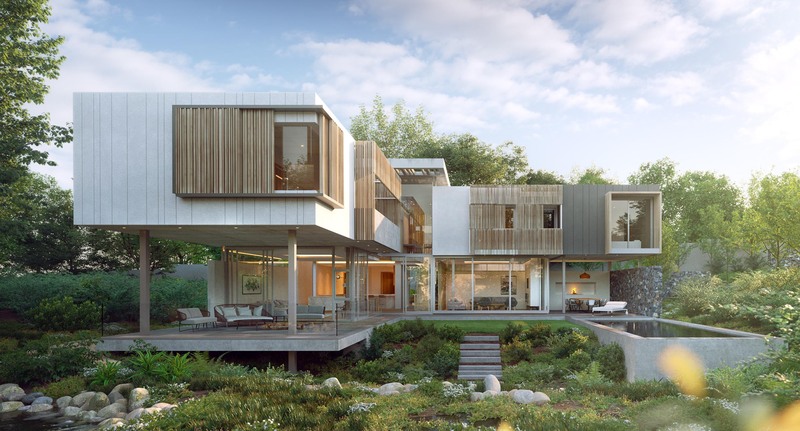 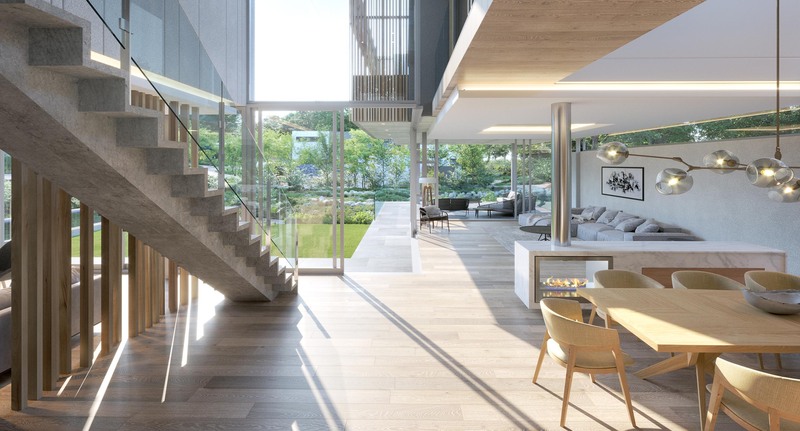 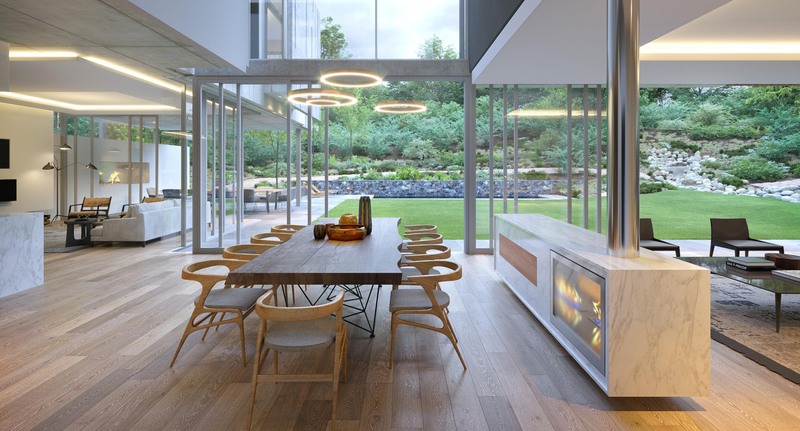 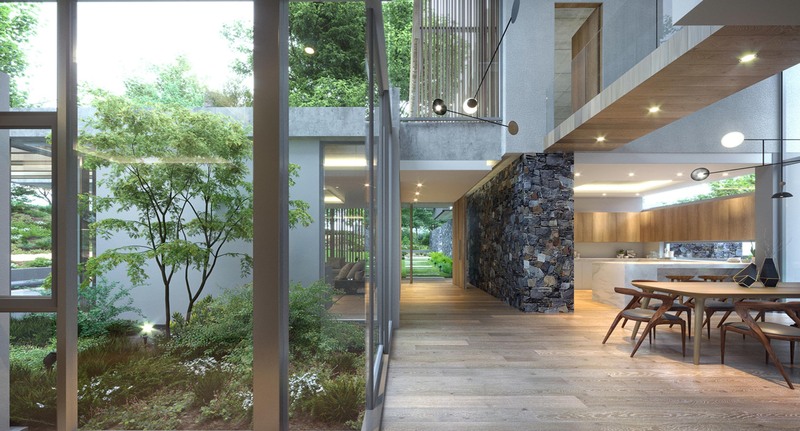 The development is located on a large gently sloping site surrounded by mature trees, opposite the Hohenort Hotel, in the Constantia Valley. 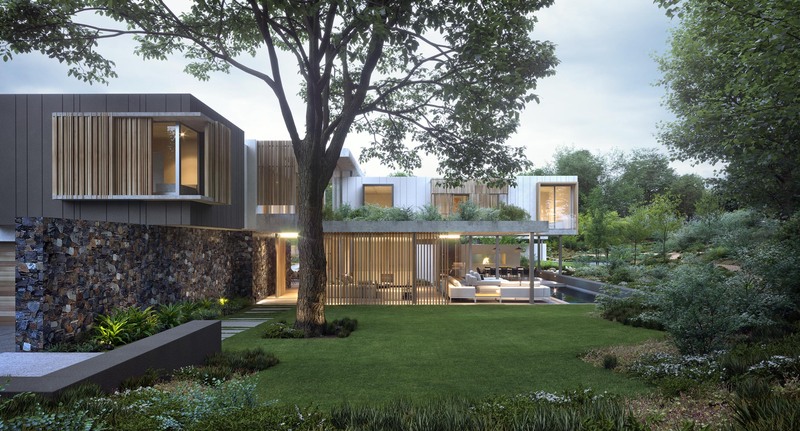 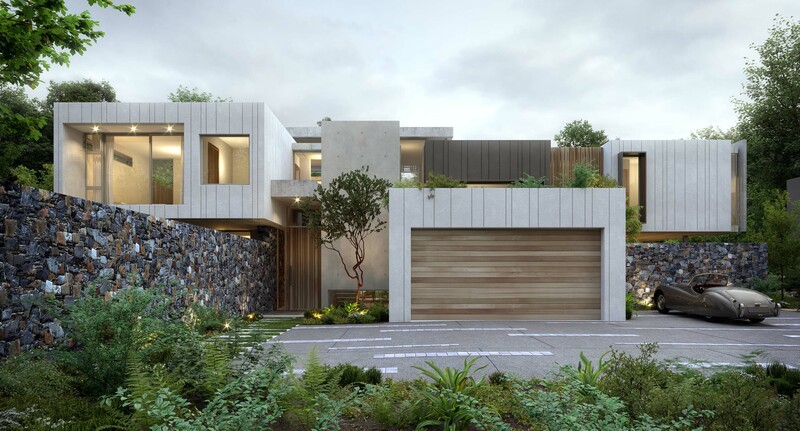 The architectural response takes its cue from the leafy idyllic qualities of the neighbourhood. 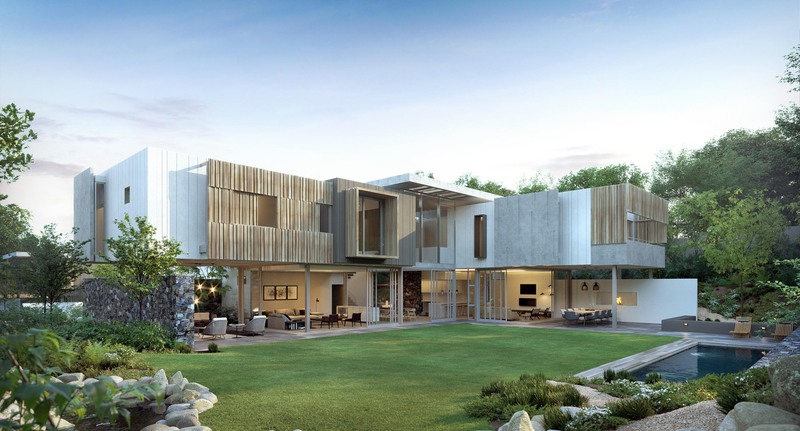 The site has been divided into four generous erven, each connected by a narrow country lane and surrounded by a belt of trees. 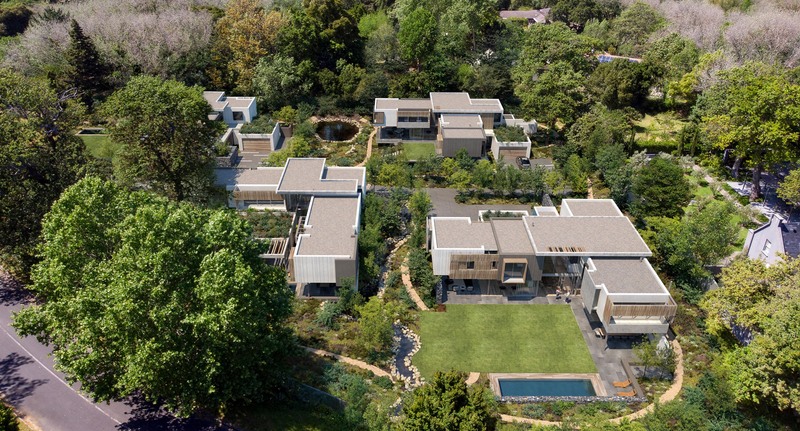 A natural wetland and a stream, will complete the vision for creating a natural sanctuary on this site. 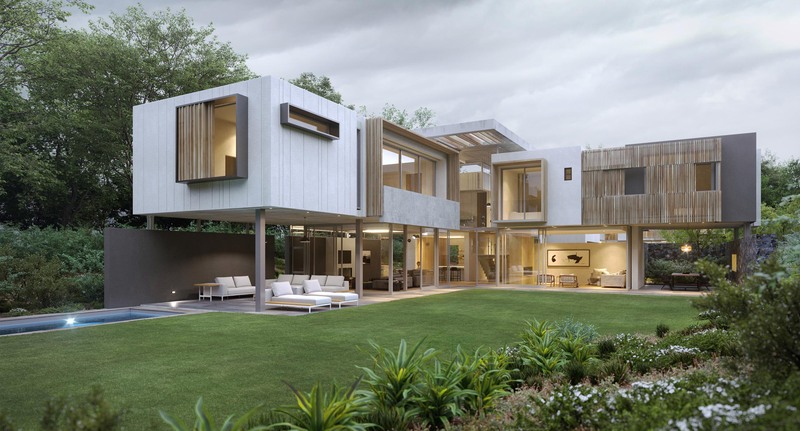 This is the concept for the development – a strongly re-natured site, with privacy and serenity for each individual house- a nature retreat. 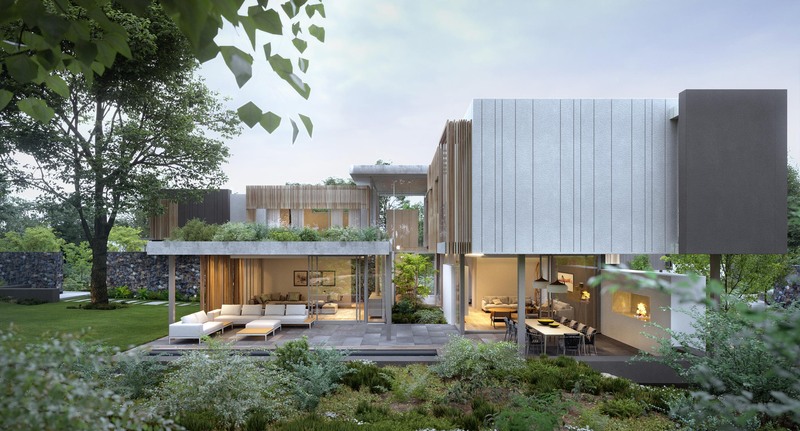 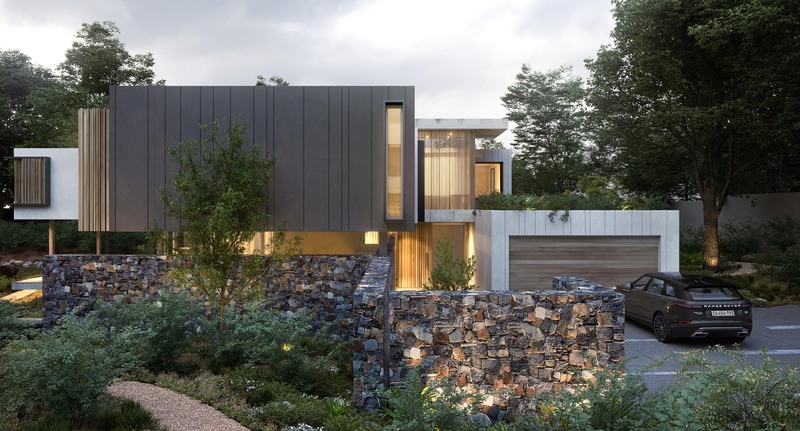 The houses have been designed as contemporary works of nature architecture, which create an immersive relationship with the natural surroundings. 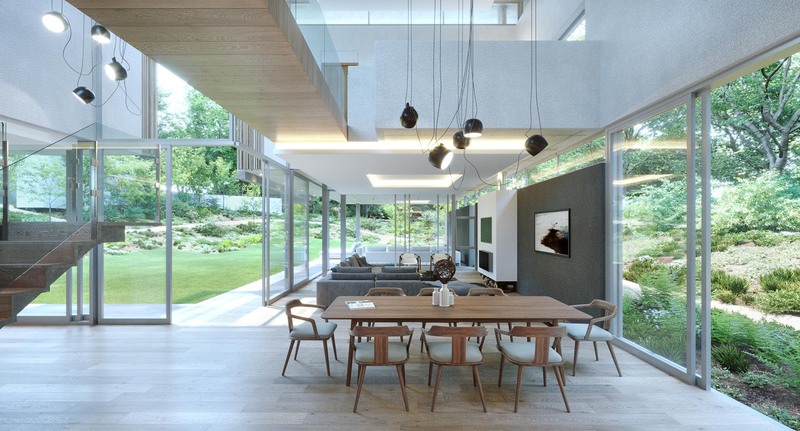 All houses are L-shaped, oriented North for sunlight to all rooms, most of the day. 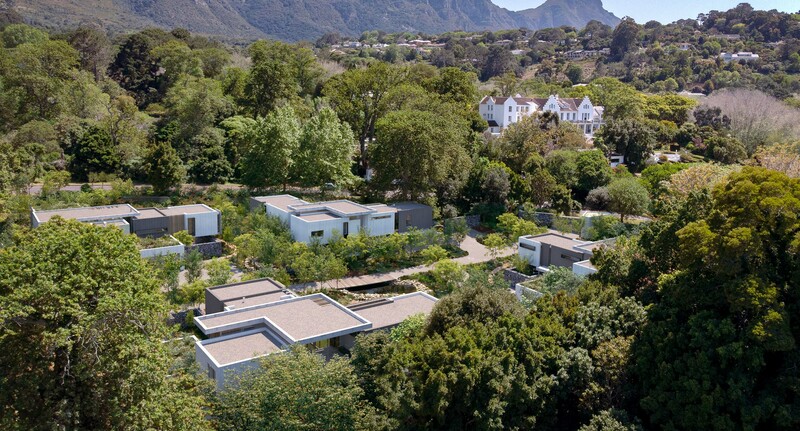 The houses have been carefully positioned and designed so that they are entirely private, yet enjoy views of the mountainscape to the north.